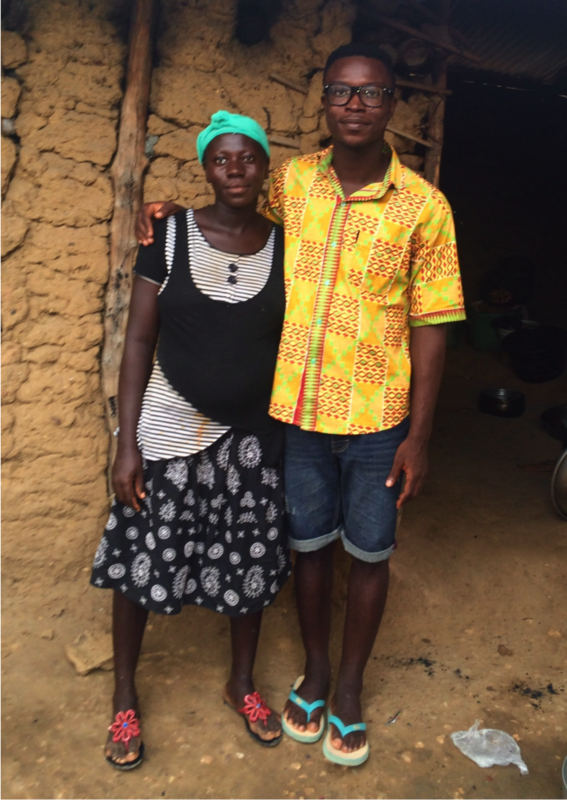 Our story began with Shadrack Frimpong, and his commitment to give back to his community. Adom (left) and Shadrack (right). Hi, I’m Shadrack Frimpong, Cocoa360’s Founder. Did you know that Ghana is the world’s second leading exporter of cocoa, earning about $2 billion in export revenue annually? Yet, many of the 1.6 million cocoa farmers, like my parents, lack access to basic health facilities, and struggle with infectious diseases like malaria, respiratory tract infections, hypertension and anemia. For these farmers—whose livelihoods drive the Ghanaian economy and further make it possible for you and me to enjoy our chocolate—this is an injustice. For me, this issue is deeply personal. I grew up in Tarkwa Breman, a cocoa farming village in Ghana. At age nine, I had an infection that nearly led to a leg amputation because it took several months before my parents could afford to pay for treatment. Years later, I would become the first person from my village to attend college in the United States, forever changing my life’s trajectory. I attended the University of Pennsylvania on full scholarship and I graduated with a bachelors in biology in 2015. Upon graduating, I was awarded the President’s Engagement Prize (PEP) as 1 of 5 students in my graduating class. The $150,000 prize was used as seed funding for the establishment of Tarkwa Breman Community Alliance, now Cocoa360. Reflecting on my great fortune, I am compelled to create meaningful change for my brothers and sisters back home. I’ve recognized the extreme impact that education can have not only for one individual but for a community. While I had the opportunity to attend school through post secondary school, many of my female schoolmates were unable to continue after primary school due to family financial constraints and the many cost barriers to education. My mission became transforming cocoa into a community resource to improve education and access to healthcare ultimately changing the story of cocoa farmers from one of poverty to one of empowerment. I invite you to join us!